TUESDAY, Dec. 15, 2015 (HealthDay News) -- Your dog's seemingly sloppy drinking involves great precision and timing, researchers report. The Virginia Tech College of Engineering team filmed 19 dogs of different breeds and sizes, and found that after they plunge their tongue into water, dogs curl the tongue downward toward their lower jaw. "They quickly retract their tongues and a column of water forms and rises into their mouths, but they also curl the underside of their tongues to bring a tiny ladle of water upward," the researchers wrote in a university news release. "Dogs precisely bite down to capture the water. In an instant, they reopen their mouths and immerse their tongues back into the water," the study authors explained. The study was published Dec. 14 in the Proceedings of the National Academy of Sciences. The researchers have previously studied the drinking technique of cats, and were surprised to find significant differences between the two types of pets. Unlike dogs, cats lightly touch the surface of the water with their tongue and usually never fully immerse them in the water. When the tongue returns to the mouth, water clings to the upper side and forms an "elegant water column." 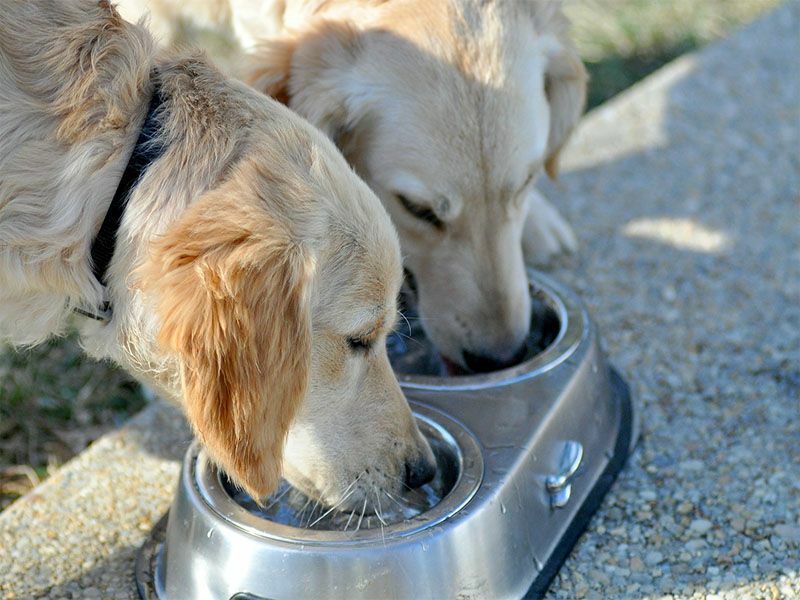 "Dog drinking is more acceleration driven, using unsteady inertia to draw water upward in a column, whereas cats employ steady inertia," study author Sunghwan Jung, an associate professor of biomedical engineering and mechanics, said in a university news release.